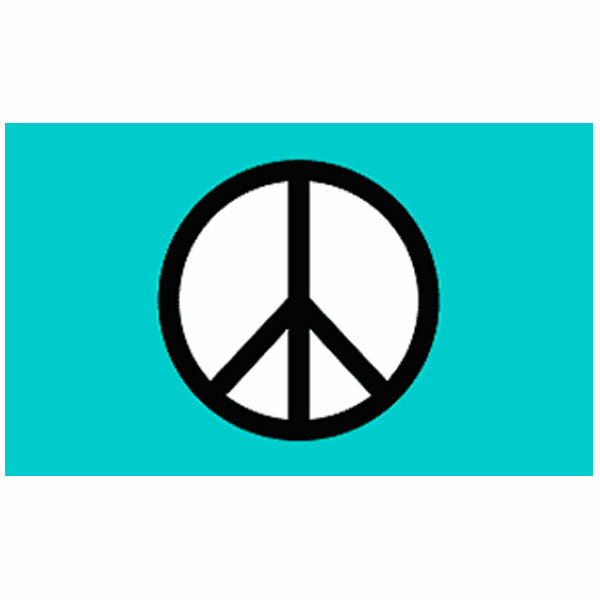 Peacemonger s selection of Flags are all printed on heavy duty polyester material. Each Flag is also made with 2 metal grommets for easy attachment to any standard flag pole. Our flags are a great way for you to express your opinions. Whether on your front porch, or on the beach, our Flags are sure to catch wind and eyes. These flags are also a great way to meet up with friends in a crowded area such as a music festival or tailgate party. Flags measure 3 x 5 feet.